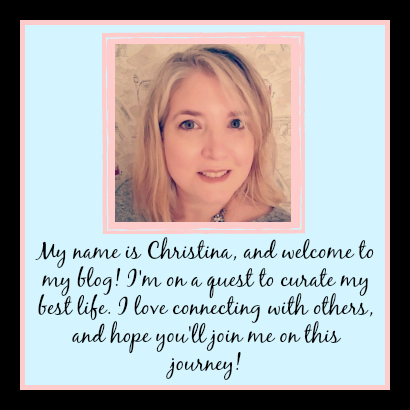 Tomes and Tequila: Bookish Goodies Vol. 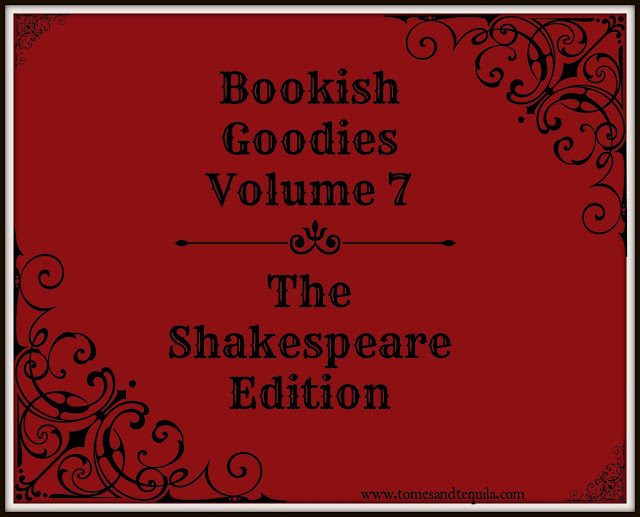 7 The Shakespeare Edition! I am an absolute fiend for Shakespeare. I always have been. I grew up next to a fabulous Shakespearean theater in Southern Oregon, and for field trips we regularly went to see plays. I took for granted that everyone had seen multiple versions of Romeo and Juliet before ever reaching High School. As a parent, and living nowhere near Oregon, I strived to raise little Shakespeare fans myself. I don't know whether my oldest would shout from the rooftops that he's a fan, but my youngest has been schooling her teachers on what Harold Bloom thinks of Coriolanus for years now (even before Hiddleston!!). I have raised a Shakespeare snob...mind you, one who proudly owns insult bandaids. So...for the girl who struggled to choose between History and English...I give you my 7th Bookish Goodies Guide devoted entirely to William Shakespeare. Enjoy!!! Okay, this is one I have already purchased! I sent it in a care package to my daughter in the hopes of getting her to play it in her dorm room with her friends instead of that other game making the rounds. She said it was a big hit! 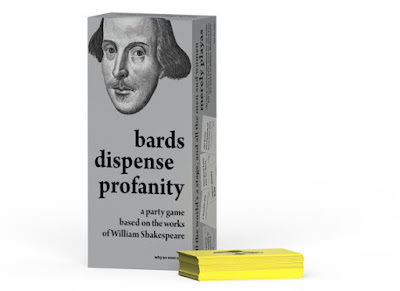 It is full of insulting things straight from the mouth of Shakespeare himself (or so he said) and definitely not for kids. You can find it on whysoever for $19.95. I don't really know what to say about this one other than it made me laugh...hard. I may have even snorted a little bit. 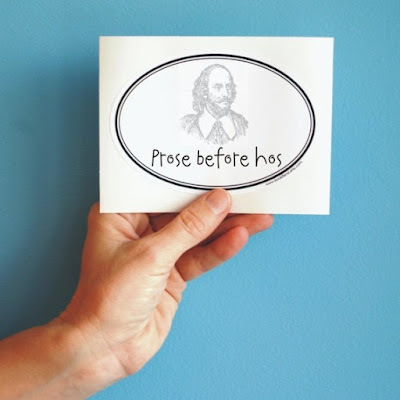 The perfect statement sticker for thespians and smart-asses alike. It can be found on Bookfiend for $2.95. 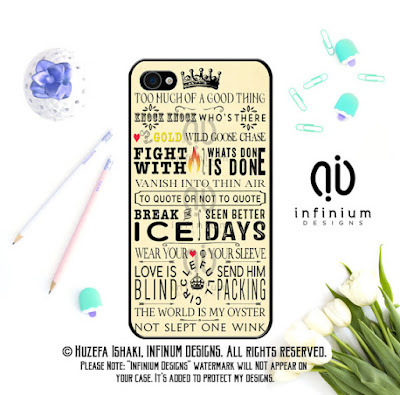 I couldn't have an Etsy list without a phone case...and I thought this Shakespearean quote case was very cool. I don't think the average joe realizes how many of our sayings come straight from Shakespeare. It really is quite amazing, and this phone case would be a great conversation piece. You can find it on InfiniumDesigns for $9.99. 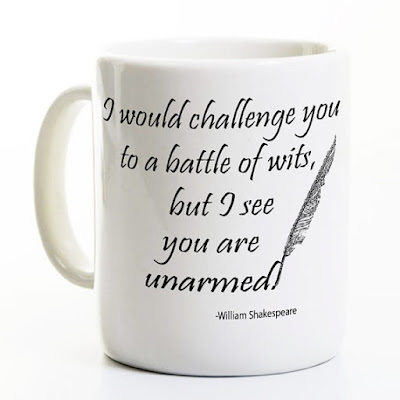 This is the perfect mug for that incredibly smart friend...you know the one. The same one you bought the T-shirt that says "That's what I do...I drink and I know things" for. 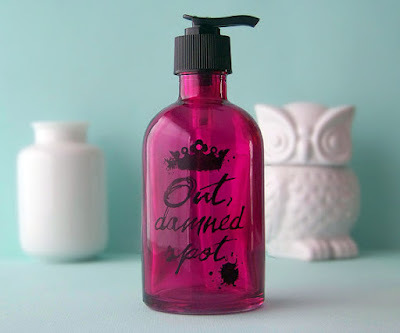 This is that friend's next gift. Just trust me on this one. You can find it on perksandrecreation for $13.99+. 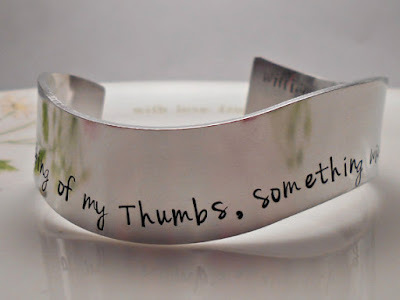 This bracelet comes stamped with the Macbeth quote "By the pricking of my thumbs, something wicked this way comes". I have to be honest, it reminds me more of the movie that scared the daylights out of me as a child than Shakespeare...but I still think it's cool. You can find it on WickedWordsmithCo for $30.02. Once again, they just make me laugh!! Like a lot of my friends, I have a "thing" for office supplies...pretty pens, paper, stickers etc. And these pencils just fulfill a deep urge that obviously was not fulfilled as a child. 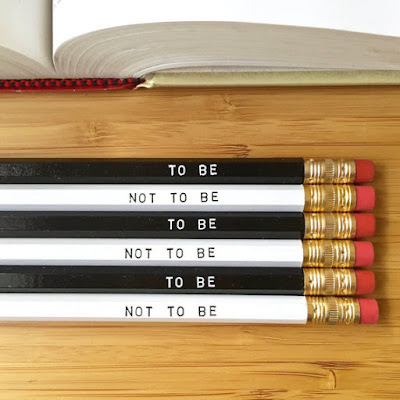 😜 I crack jokes but you can have a container of To Be or Not To Be pencils when you work at a Library...heck, you can have them anywhere. Fulfill the urge folks...fulfill the urge. These are from CouldYouPlease for $8.50. I am obviously not in a very serious mood today...and if you are a regular reader you will note I usually have a bag in every shopping guide. Today I have a bag...and it's funny. What can I say, from where I sit you can always use another tote bag. I use one almost every day just going back and forth to work...as do all my coworkers. I use them when I travel. Most people use them when they shop. Why not make a statement when you're carrying one?? You can find this bag on OakCityDesignCo for $19.95. I like this shirt, and it sums up perfectly how we can have the insult games and incredible quotes. 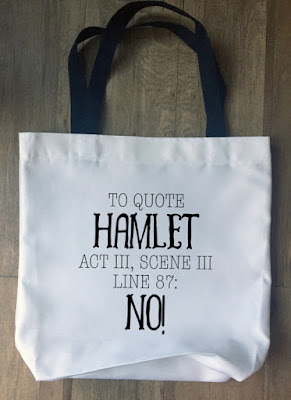 In the Etsy description it says "Shakespeare was a Badass"...and I couldn't agree with them more. 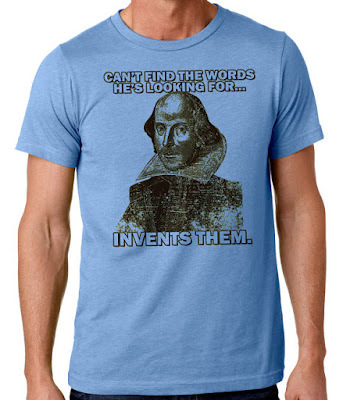 Show your love for The Bard by wearing this glorious t-shirt. 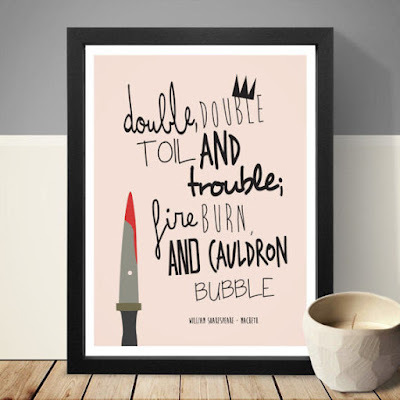 This one is made by Ravenchicstudio for $19.99+. It comes in sizes up to XXL.